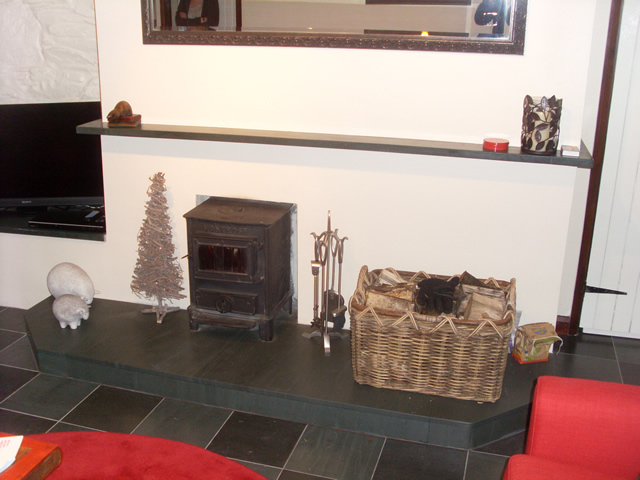 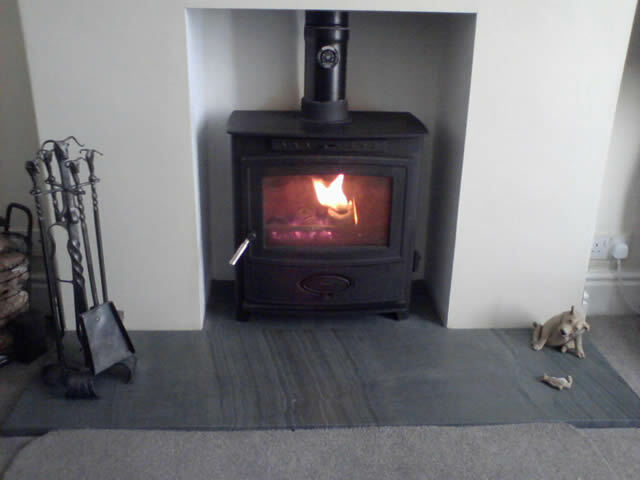 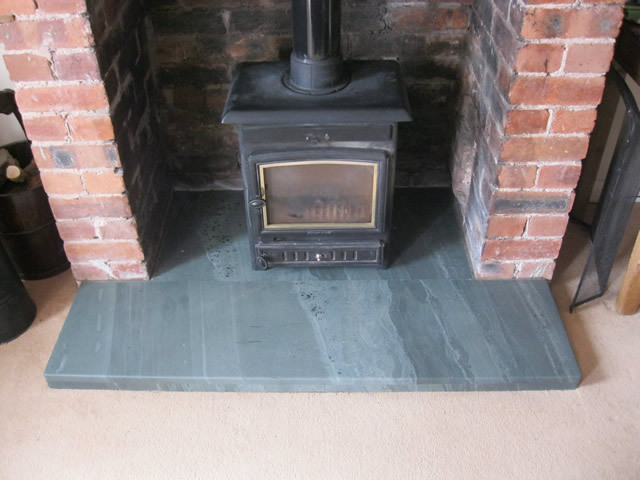 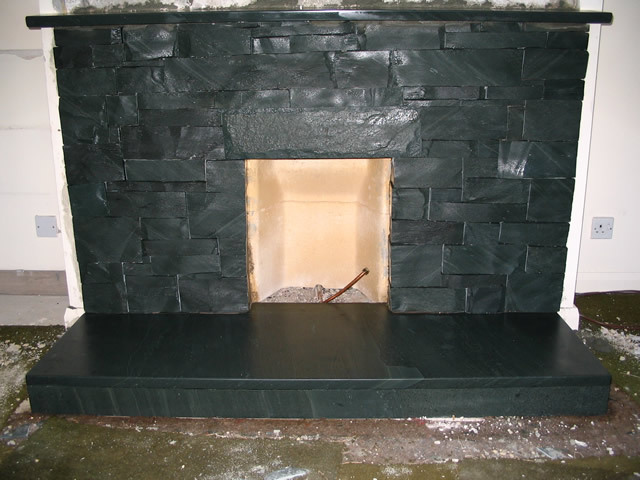 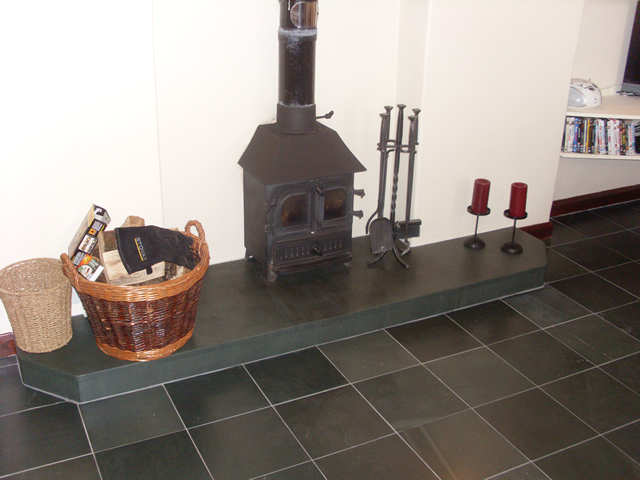 Individual Fireplaces and Hearths in rustic or polished green slate. 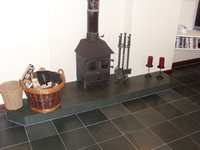 The rustic designs add a traditional Lakeland farmhouse feel to any property being completely hand made from the raw large blocks of slate, each one is then dressed down with a hammer and chisel and set out dry on the floor complete with lintel, hearth and mantle, once all this has been done in our workshop it is easier and creates less mess when installing on site, this can be done by us or the customer (building skills required). The polished designs enhance the natural nature of the slate. We select the raw slabs for colour and markings then cut to size and if required bonded together before polishing and sealing. 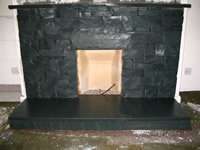 We normally make in 2 or 3 sections to make transportation and fitting as easy as possible. 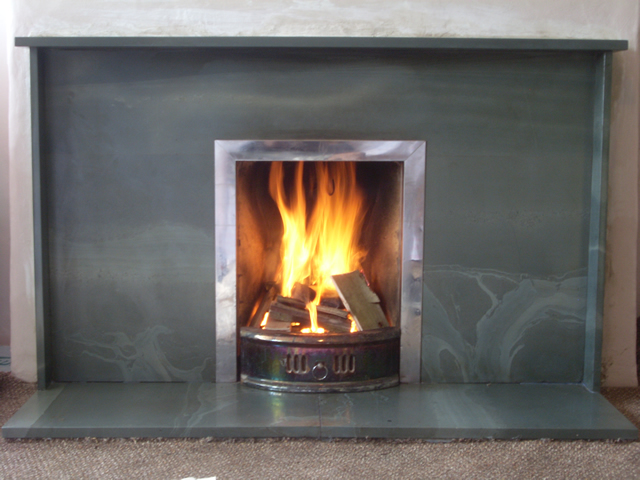 As no two fireplaces are the same we charge a square meter price for the thickness of slate (normally 20 or 30mm) then charge for cut-outs, angled or mitred pillars,polished edges, angled brackets, etc. Price list for Fireplaces & Hearths. 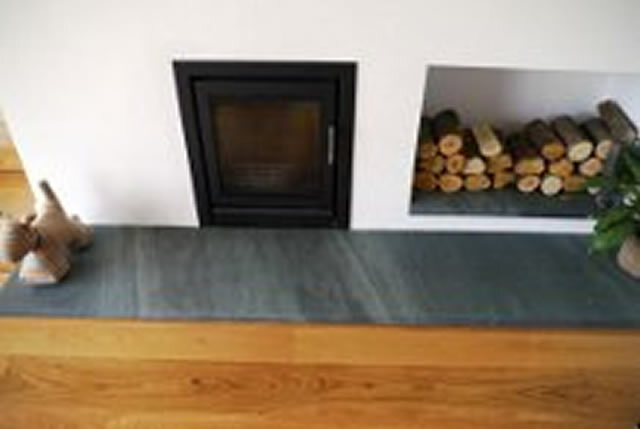 5mm Bevel £20 per linear meter. 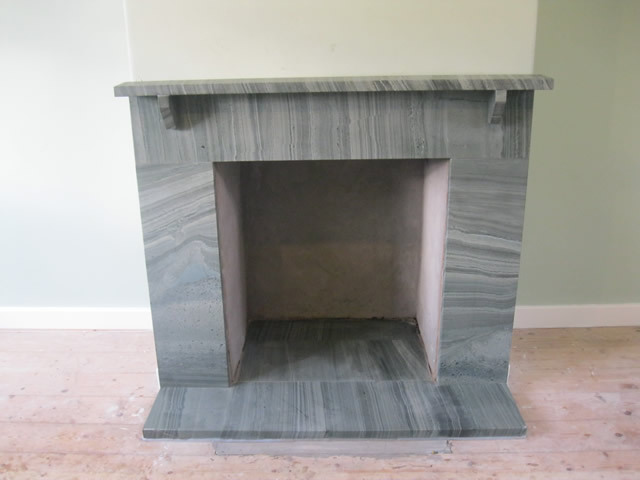 Pencil round £25 per linear meter. 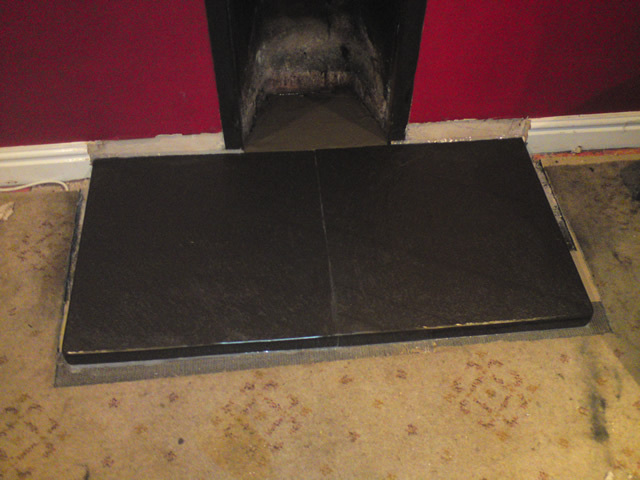 20mm unglued from £15 linear meter. 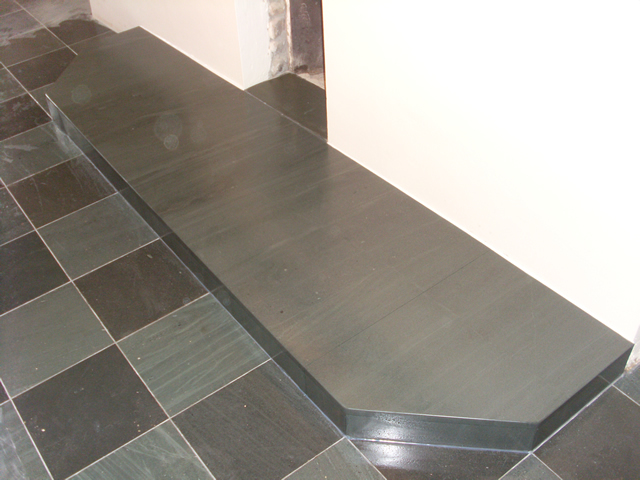 Glued and polished From £65 linear meter. 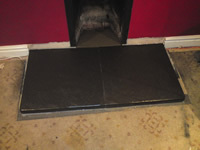 Delivery & Fitting service available, please contact us for details.